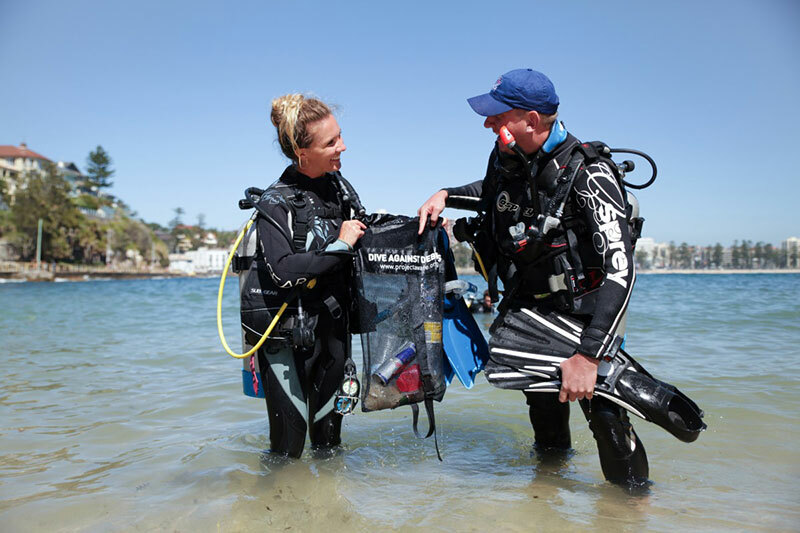 The PADI Divemaster Course is the first step in becoming a respected PADI professional. 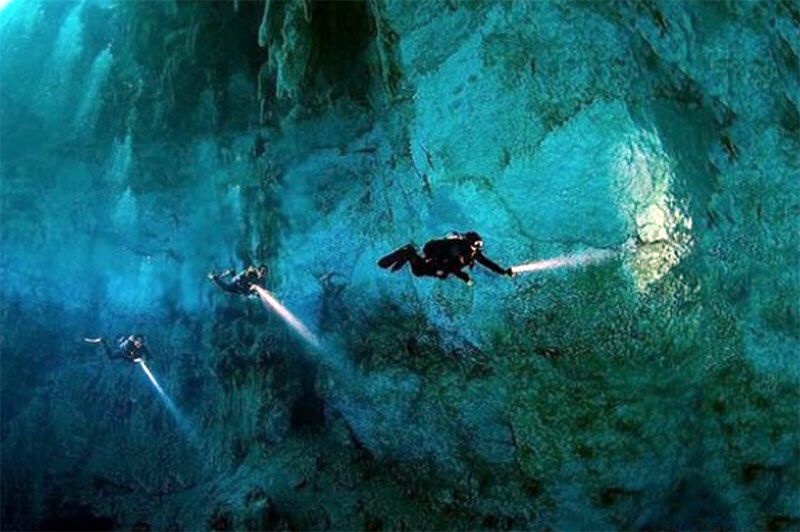 It helps to develop role model characteristics, builds on interpersonal skills, refines your knowledge on dive theory to a professional level, develops your dive skills, builds on your rescue skills and guides you to becoming a certified assistant and dive management and supervision abilities. We are willing to help you achieve the divemaster status, but it will be down to you and your commitment. We wont carry you through the course, you will therefore be expected to work hard and commit to your goal. The PADI Divemaster course is divided into knowledge development, waterskills development and practical application section. 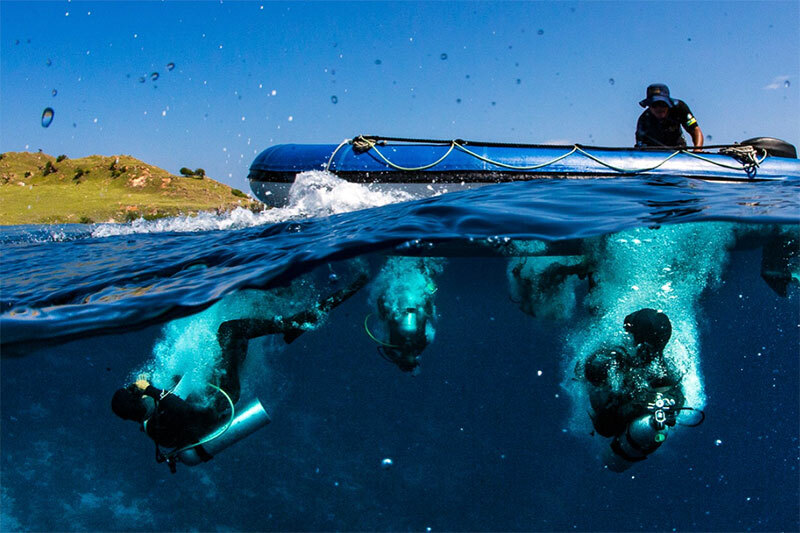 Through this training, divemaster candidates develop exemplary dive skills including fine-tuning rescue skills. They also strengthen their dive theory knowledge, which is the foundation for creative problem solving. Divemasters gain competence as certified assistants and dive supervisors. Certified PADI Divemasters are role models who follow responsible dive practices and demonstrate care for the aquatic environment. Their knowledge, skill and enthusiasm for diving helps people have fun within their interests and skill levels. Watch the videos，comprehensive self study and complete the knowledge reviews in the student's manual before your scheduled knowledge development and pool sessions. 9 curriculum presentations, and the final exam of PADI standards and the dive theory. Waterskills exercises: 400m Swim, 15-minute Tread, 800m Snorkeling, 100m Inert Diver Tow and Equipment Exchange. Rescue skills review and evaluation. Demonstration-quality skills development and evaluation. Practical Skills: Dive Site Set Up and Management, Mapping Project, Dive Briefing, Search and Recovery Scenario and Deep Dive Scenario. Divemaster-Conducted Programs Workshops: ReActivate Program, Skin Diver Course and Snorkeling Supervision, Discover Scuba Diving Program in Confined Water, Discover Scuba Diving Program — Additional Open Water Dive and Discover Local Diving in Open Water. 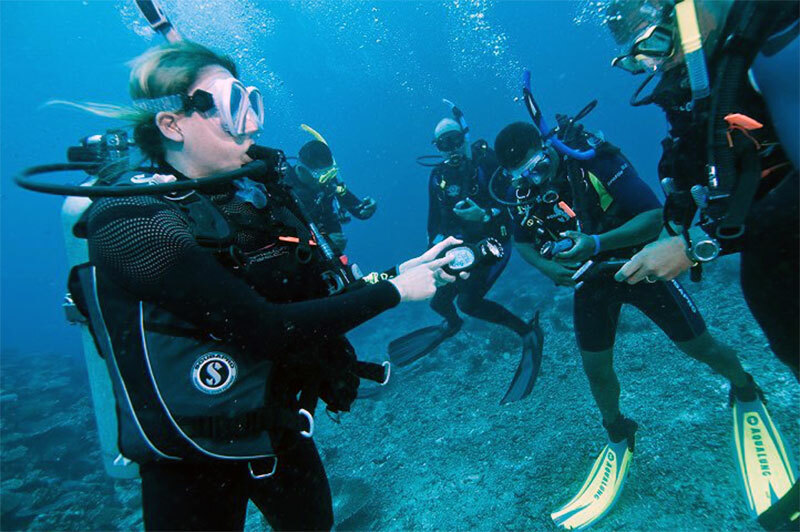 Practical Assessment: Open Water Diver Students in Confined Water, Open Water Diver Students in Open Water, Continuing Education Student Divers in Open Water and Certified Divers in Open Water. This course can not be rushed. We can work with part-time or full-time candidates, from 2 weeks to 4 months. The average length of the part-time course is 2 to 3 months. - Includes: Divemaster crew pack, instructor fees, access to all training equipment, unlimited pool access during our pool time slots. It also includes the travel insurance, local transportation, twin shared accommodation, full board, water, coffee and tea, 9 boat dives and unlimited shore dives on the Anilao Philippines trip. - Excludes: PADI Divemaster applications, flight tickets, Philippines visa, extra boat dives, soft drink and beer, dive pass (100PHP per day), tips, anything not listed in the costs included. - Includes: Divemaster crew pack, instructor fees, access to all training equipment, unlimited pool access during our pool time slots. It also includes the travel insurance, local transportation, twin shared accommodation, full board, water, coffee and tea and 4-5 dives on 2 Qiandao Lake trips. - Excludes: PADI Divemaster applications, train tickets, soft drink and beer, anything not listed in the costs included. - Includes: Divemaster crew pack, instructor fees, access to all training equipment, unlimited pool access during our pool time slots. 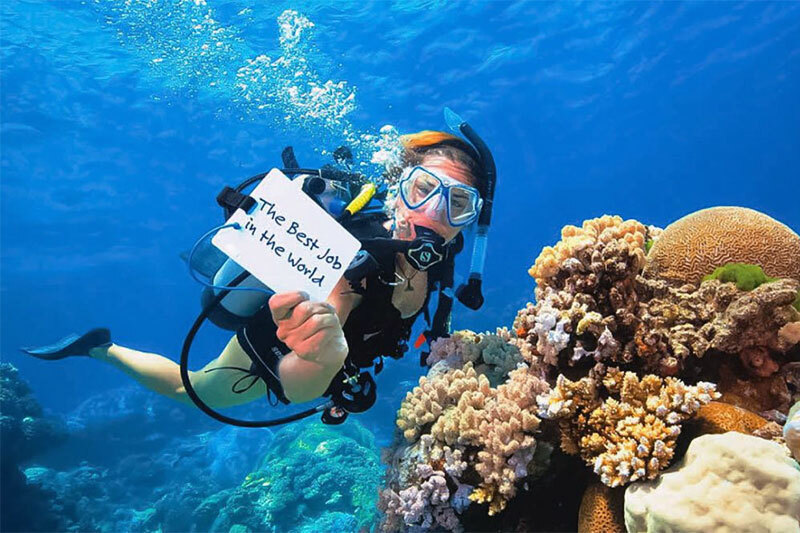 - Excludes: PADI Divemaster applications and open water dive trips. At least one of your c-cards should have our shop information on them. 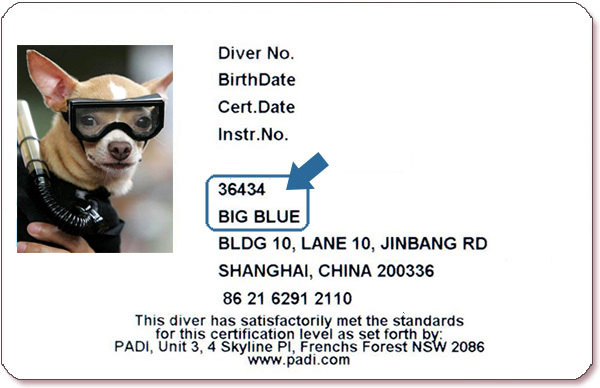 If the dive center number is '36434', the name is 'Big Blue', then you are a Big Blue Member. Big Blue Members receive a 5% discount. Divemaster candidates are eligible to receive Big Blue Pro's special offer on all equipment and trips purchased at Big Blue.